The compact design makes the USB Aroma Difuser suitable anywhere you use your computer. Simply add water (purified or distilled is recommended) to the base, pre-soak an enclosed cotton cartridge with water, add 5 drops of Essential Oils to the water. Plug the USB cord into your computer and the oils is converted into micro-fine aromatherapy mist while removing odors and purifying the air. 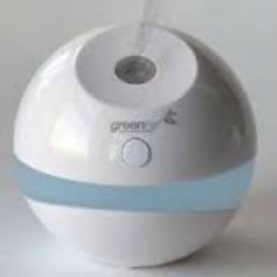 The USB Aroma Diffuser is great for travel or work.